Large 5 bedroom bungalow on a one acre landscaped site. 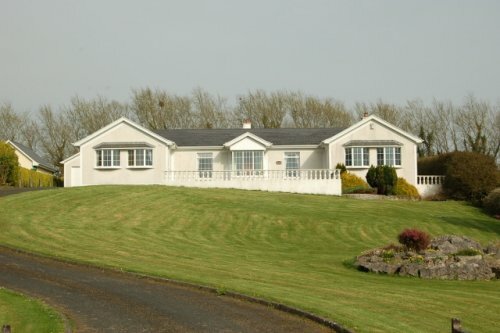 Quiet area with 10 minutes drive from Shannon airport. The house is in a excellent location for tourists and those wanting to get away from it all. It is within a 5 minutes drive to Dromoland castle, 30 min drive to The Burren and local beaches. Lahinch beach is known for great surfing and Spanish Point beach for bathing. There are plenty of restaurants, pubs and shopping areas, Shannon town centre (3 miles) Ennis (8 miles) and Limerick (10 miles).